You can’t force a child to pee or poop. Resistance is most commonly seen in Turtles who feel all this growing up is just happening too darn fast. Owls who start to feel out of control will begin to resist, too. Your Squirrel, Bear or Puppy will also refuse the potty if she's been pushed too far, too fast. 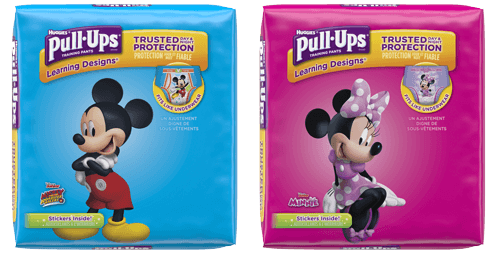 Potty resistance is a sign to immediately back off potty training. If your child demonstrates a refusal to use the potty, or uses the potty at the daycare/preschool, but not at home, this is your cue to disengage from any power struggle you find yourself in. This won’t be easy, but it’s worth it because this kind of power struggle is very likely to emerge again in other areas. Tell him you’re sorry for pressuring him about the potty, and that from now on, HE can decide where he poops and pees. It’s HIS body. Take a deep breath, don’t scold and don’t get emotional about it. He’ll know if you’re faking it. Let go of whatever expectations you’ve had, and move forward together when you’re BOTH ready. See our Potty Scripts for Turtles, Bear Cubs and Squirrels for ideas on what to say to your resistant little trainer. This doesn’t mean he gets to be the boss in every area — far from it. But there’s really no way for you to win this battle, and lots of ways you can make it worse. Take three deep breaths. Disengage. Forcing a child to potty train by using threats, punishments or other coercive methods will eventually backfire. If your child is doing the deed out of fear, she might comply — for now. But it’s much more likely there will be physical or psychological consequences down the line, including constipation and other complications. Even too much pressure can feel like she is doing it for you (or for their teacher, or Grandma, or someone else). She won’t internalize that sense of control and success. Where does that leave the hapless parents? Remember, you’re in a partnership with your child. Allow a little time to pass, before you begin to try again.